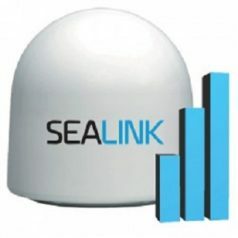 Telemar provides Ku-band Antenna from leading manufacturers Cobham, approved for the Sealink Marlink Vsat solution. 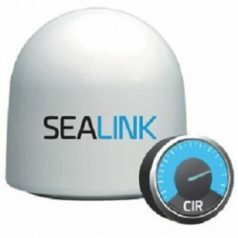 Product ranges from 1meter antenna to 80 and 60 cm antenna, designed to out-perform competing antennae and promise easier and quicker installation and configuration on a wider range of vessels. SAILOR 600 VSAT Ku is designed for quick and cost-effective deployment. It is ideal for smaller vessels and because it weighs just 35 kg. – also globally and is marked for ease and speed of installation, e.g. including a single cable between the antenna and below deck unit. Cobham 800 VSAT Ku is a high-performance 3-axis stabilized antenna system with an 83 cm reflector dish. 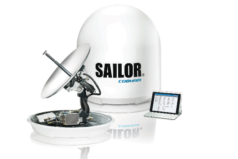 The SAILOR 800 VSAT provides the same performance than a typical 1m antenna. 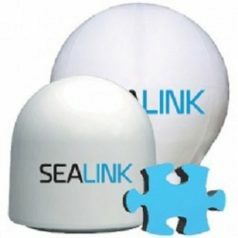 It is quick and easy to deploy and can be suitable for many vessels because of the size and weight. SAILOR 900 VSAT is an advanced three axes stabilized VSAT antenna with the highest RF performance in the 1m antenna class and allowing the highest service levels in terms of MIR and CIR. It is simple and easy to install and set-up and with a specific kit can be upgraded to Ka band for the Inmarsat GX service.